“Shin splints” is a catch-all term for lower leg pain, typically associated with running. People with shin splints typically complain of dull, achy, diffuse pain along the medial aspect of the lower leg made worse by running and typically better with rest. Sometimes, it’s referred to as “Medial Tibial Stress Syndrome.” As the condition progresses, it can hurt at rest and lead to a stress fracture. Once pain shifts from more achy and diffuse pain to more point-tenderness, this is a red flag for a possible stress fracture. A good way to check for this is to see if you are point tender 6″ above the medial (inside) ankle bone along the tibia bone. That’s a pretty good indicator that you have a potentially more serious issue pending. We have an active population here at SSOR and see “shin splints” regularly. Hopefully, this post will answer your questions about them and how physical therapy will help. There are a host of causes and contributing factors to shin splints. Intrinsic factors, or factors that are based on the individual, include: foot overpronation (“flat feet”), high arches of the foot, hip/knee malalignments (if you’re knock-kneed or bowl-legged, for example), weakness of the ankle and foot plantarflexors/invertors and dorsiflexors, tightness of the calves, weakness of the hip muscles, and usually, beginning training programs without prior conditioning. Extrinsic factors, or factors that typically have to do with modifiable, external training issues, include: improper shoes, running on concrete surfaces, improper training methods (“too much too soon”), or improper technique with running or the sport activity. Shin splints can be addressed very easily with physical therapy and activity modification. First and foremost, a discussion about training methods and training history will help determine what modifications need to be made. The athlete may have to cross-train on a bike, elliptical, or in the pool to enable the pain to subside. The athlete may also have to run on more forgiving surfaces, like a track, as opposed to school hallways or concrete sidewalks. In addition, an athlete that has been sedentary who begins a rigorous program of running and jumping will need more cross-training as well as gradual return to activity. In our experience here, most people do “too much, too soon” and that results in shin splints. Regarding treatment, a strengthening program for the hips as well as the foot/ankle muscles will really help. The hips get missed alot because many therapists/athletic trainers don’t treat the whole chain. The foot and ankle ultimately attach to the hip and pelvis, so those locations need to be rock solid. Think of it as the foundation of your house. You need concrete walls, not popsicle sticks right? Well, it’s the same for this condition. You should also stretch your calves regularly. 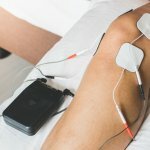 Finally, physical therapy should include soft tissue techniques to the calves because those with shin splints often have tons of tender points in the lower leg. It hurts to have it done, but it really helps! There are even some nerve glide techniques that are effective. To manage the pain, you could try shin socks. Basically, it’s a tight sock that supports the muscle and prevents/minimizes the “tugging” of the muscles on the bone. The “tugging” repeatedly with running ultimately causes a stress reaction at the bone/tendon interface, resulting in pain at those locations. Think of it as a toddler pulling on your pants repeatedly when they want you to pick them up. The repeated tugging starts to pull tissue from the bone. There isn’t a lot of research on them, but they may help “take the edge off” when doing your activity. Ice massage is also very effective. Instead of an ice bag, fill up a styrofoam cup with water and freeze it. Once frozen, peel off the top of the cup and ice along the inside of the shin along the painful areas. Works really well for pain. Rub that on the leg till it’s numb. Regarding medication, you might want to reconsider rushing to take Aleve or Ibuprofen and instead, take painkillers like Aspirin/Tylenol/Bayer/etc. There are some studies showing that taking anti-inflammatories like Aleve or Ibuprofen can delay bone healing. It may actually be counterproductive. Painkillers/analgesics are a better choice. 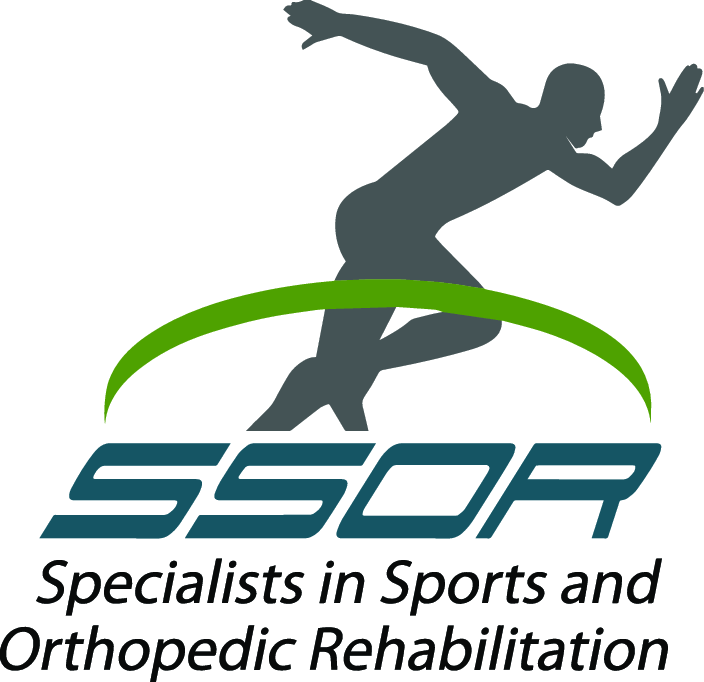 The sports physical therapists at SSOR are experts in biomechanical assessment. We’ll get to the root cause of your shin splints, even if it’s somewhere else that is the culprit. We’ll design a comprehensive plan of care specifically suited to your needs and deficits. Even if you had physical therapy previously, we’re confident our approach and perspective will help you. Give us a call! Remember, you don’t need a referral from a physician to see a PT in Kansas anymore.